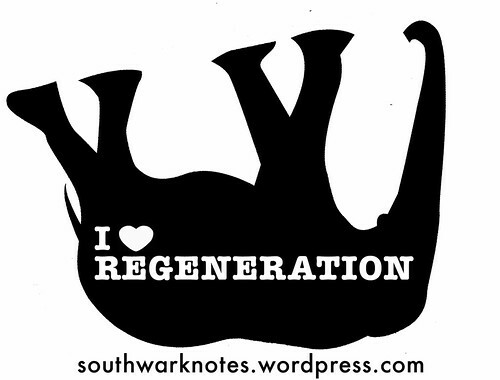 SOUTH CENTRAL EAST / 83 CRAMPTON | Southwark Notes - whose regeneration? 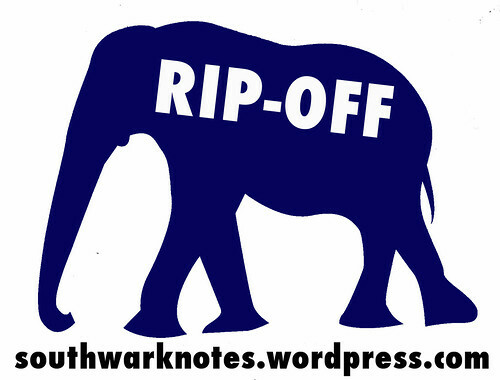 “Oakmayne Properties advertising wheeze for the South Central East flats was to put up an advert on the Walworth Rd that read ‘If you want to make real money, invest in The Elephant’. Stuck to the poster was 300+ fivers which local people then ripped off in a frenzy. 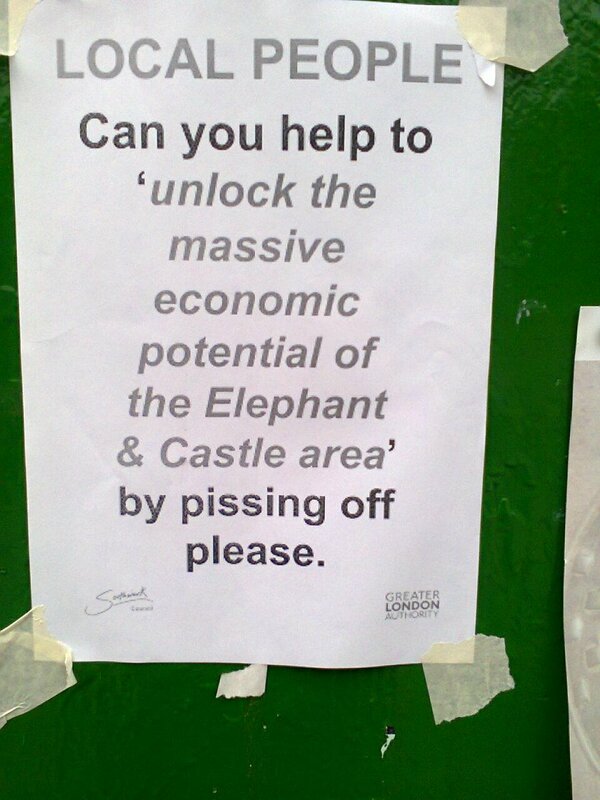 This crass 80’s Thatcherite money-madness is probably the last thing local people in The Elephant need” See below. Worth saying that £5 notes even if you grab a handful is hardly ‘real money’. Making real money is reserved for old school property developing wankers like Oakmayne. 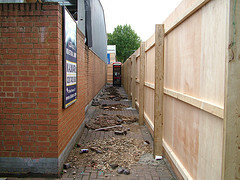 Since 2006, several bigger projects were begun around the top end of Walworth Road. 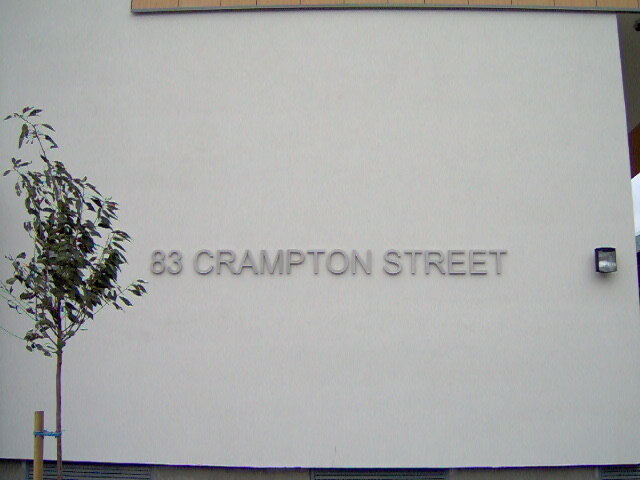 Crampton St in Walworth (where 56a Infoshop) is located, has now undergone yuppiefication. 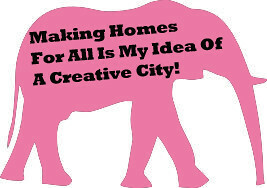 Oakmayne Properties has built 2 large developments in the area, the dumbly named South Central East and O-Central (now called 83 Crampton St) . 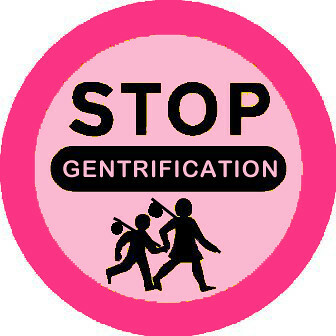 South Central East is ‘secure gated community’. O-Central isn’t gated. To aid good cheer to local residents, the first thing they did was to cut down trees, remove the local phone and Post Box! Grafitti appeared a few days after the theft of local amenities: ‘What happened to our phone boxes? Dem they got taken! Greedy Developer Bastards‘. Shaw Corporation assisted Oakmayne with the planning strategy, Section 106 negotiations, affordable housing content and commercial ground floor areas. Shaw Corporation pre-sold the affordable housing and assisted in the legal documentation for the affordable sale. 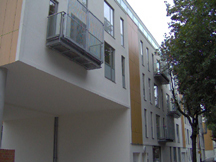 They also assisted on a successful planning appeal in late 2009 for additional penthouse units undertaking the Toolkit assessments and negotiation of the Section 106 Agreement with nil affordable housing provision. Nice! It really is a RIP-OFF! 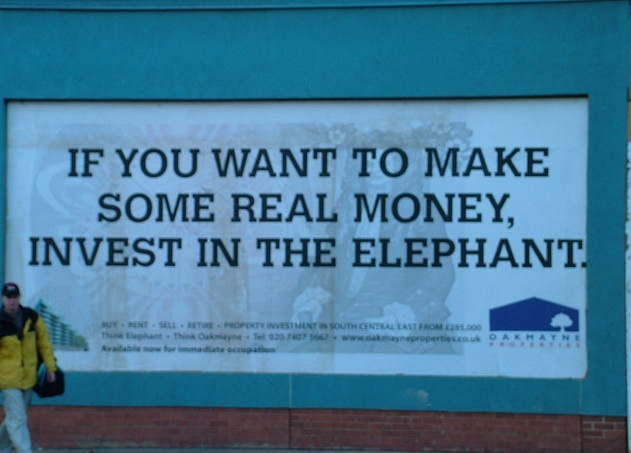 Oakmayne Properties advertising wheeze for the South Central East flats was to put up an advert on the Walworth Rd that read ‘If you want to make real money, invest in The Elephant’. 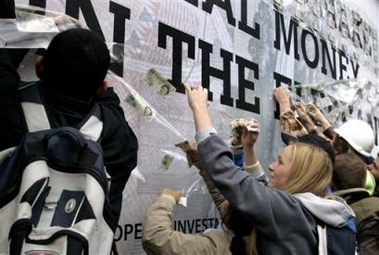 Stuck to the poster was 300+ fivers which local people then ripped off in a frenzy. This crass 80’s Thatcherite money-madness is probably the last thing local people in The Elephant need. 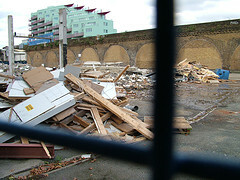 A few crumbs from the table and the continuing myth that the development will aid local people. Next you can see the architect’s plan for O-Central on Crampton St. As you can see it recreates not a ‘historic tree lined boulevard’ that never was, but a large building that blocks rare and precious daylight from the council’s Pullens Estate. What has ended up on Crampton St is not a set of buildings that sits well with the tenement flats of The Pullens but cheaply built wood-panelled buildings. The topping out ceremony for the Crampton St flats was undertaken by England and Chelsea skipper John Terry who announced on TV that he had begun purchasing a portfolio of properties in the area. The private block (83 Crampton St!) 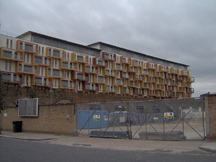 now rents for £350 per week for a two-bedroom (Oct 2008). Alongside the Penthouse flats overlooking three local council estates are corporate rentals, buy-to-lets and private buys. The social housing blocks (Oster Court and Flamingo Court – where do they get these names from?) barely merit any architectural finery at all. 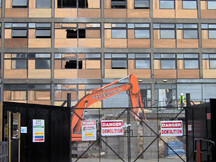 Eventually the offices at the bottom of the all blocks may open up. So far, they are still mainly empty, awaiting business tenents. 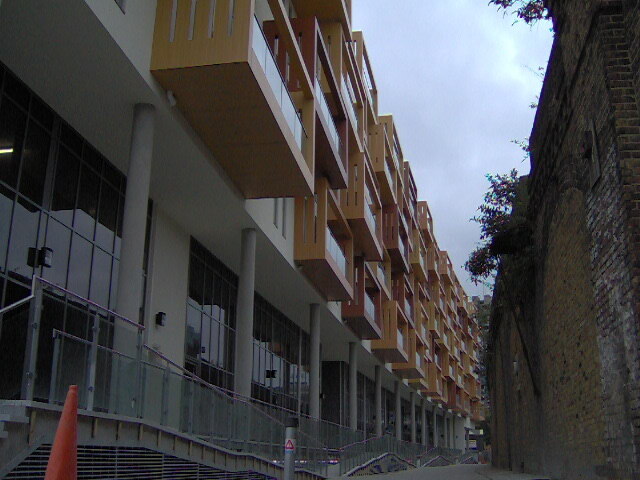 The last two pictures show the difference in the yuppie flats (niceglass Juliet balconies) and the Housing Association blocks (grim steel grill balconies). Oakmayne tells us local residents – ‘Elephant & Castle is now definitely on the map. The regeneration has now started‘. It’s always been in our A-Z though!